Aired on Monday, July 15th. Timothy Egan. "Short Nights of the Shadow Catcher: The Epic Life and Immortal Photographs of Edward Curtis"
Aminanata Forna. "The Memory of Love"
Lisa Graff. "A Tangle of Knots"
Patrice Kindl. "Keeping the Castle"
Ben H. Winters. "The Last Policeman" and "Countdown City"
Jojo Moyes. "Me Before You"
Rick Yancey. "The Fifth Wave"
Nimrod International Journal Presents "Lasting Matters: Writers 57 and Over"
Nimrod International Journal, founded in 1956 here at TU, is a well-respected, twice-a-year literary publication that's been dedicated to printing work by writers both emerging and established for more than half a century. Our guest is Francine Ringold, editor-in-chief of Nimrod, who describes the latest issue, which is just out now. This issue's theme is "Lasting Matters: Writers 57 and Over" --- and as Fran adds, there will be a special, free-to-the-public reading from this issue tonight (Thursday the 27th) at 7:30pm in the Meinig Recital Hall at TU's Lorton Performing Arts Center. The Book as a Work of Art --- Philbrook Presents "Artists' Books: Works and Pictures"
On this installment of ST, a discussion of both the art and craft of making books. Our guest is Jody Williams, a Minneapolis-based book artist, printmaker, teacher, and writer. The (mostly miniature-sized) books that she creates as individual works of art appear under the name Flying Paper Press; books created by Williams have appeared in exhibits all over the country, and some are included in a group show currently on view at the Philbrook Museum of Art (through July 21st) called About Bookworks III. "50 Reasons to Reread 50 Books You Haven't Touched Since High School"
Sure, you loved "The Catcher in the Rye" at the age of 16...but would you still love it? You appreciated "To Kill a Mockingbird" and "Cannery Row" way back when, but would that still be the case today? And on the other hand, if the plays of Ibsen or Shakespeare didn't exactly knock you out during that long-ago sophomore year of college, do you think they'd still miss the mark? Or might they be worth another shot? If your idea of a library is row upon row of nicely shelved hardcovers, then you'll be in for a surprise when a planned new library in San Antonio opens this fall. "Think of an Apple store," Bexar County Judge Nelson Wolff says while explaining the layout of the new library, BiblioTech. In keeping with technological advances, the county will house a library of neatly arranged LCD screens and gadgets instead of the traditional banquet of dog-eared print and paper books. 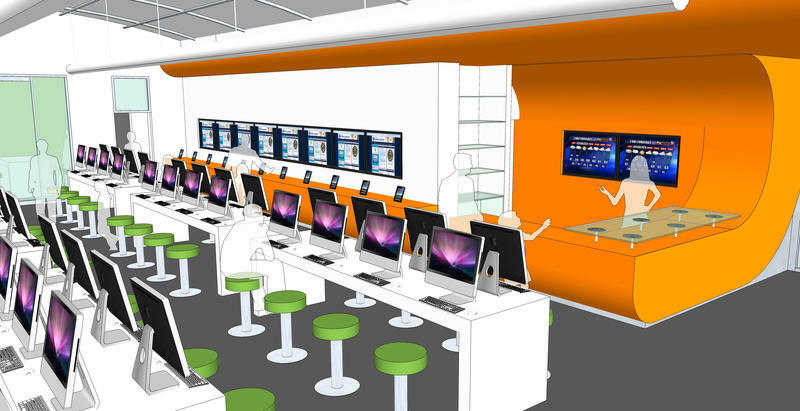 The public library will be one of the first digital-only libraries of its kind.